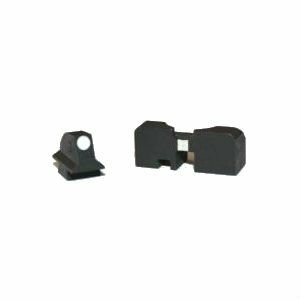 Walther Latest Generation P1 Front and Rear Sight New. Genuine German Walther production made for the German Army. A great improvement for early P1 and P38 pistols using old style thin front sights. Bright white dot and bar make target acquisition fast and easy. These will fit any P1 or P38.